Touch it! Feel it! Live the High Life! Tickets for Stage 48 NYC New Years Eve 2020 are currently not on sale. 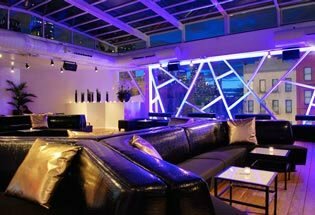 Stage 48, located in Manhattan’s Hell’s Kitchen, is a sprawling, sleek and stylish multi-floor event space. Originally built in the 1950’s as a horse stable, the now-renovated building maintains the beauty of old industrial architecture combined with modern-day urban décor. The Stage 48 ambiance is one that is unique, cool, and at the core, fun. 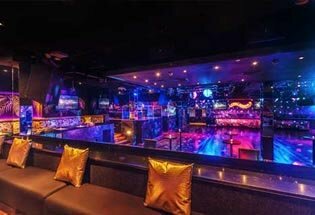 Decked out in black booths, purple walls and backlit elevated VIP areas, Stage 48 indeed does feel like a stage. With state of the art sound, lighting and video systems, the 48 experience is one appealing to all of the festive senses. 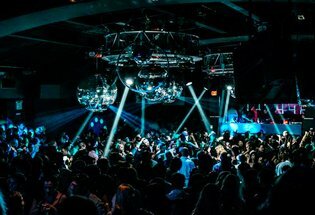 This New Year’s Eve, Stage 48 is opening its exclusive doors to party goers to come celebrate! The Stage 48 is going to be a sure-fire epic celebration. Doors to the bash open at 8 PM and the party goes until 2 AM! A ticket to this party guarantees you an awesome night all around and will not disappoint! You will enjoy five hours of premium open bar starting at 9 PM – choose from a huge variety of festive wines, beers and cocktails. Or better yet, have them all! A selection of complimentary hors d’oeuvres will circulate throughout the night to satiate your evening cravings. And so will festive party favors! Accessorize your New Year’s pictures with fun swag and get those babies uploaded! The hours will fly by as you drink, dance to the beats of a live DJ and mingle! And as midnight approaches, watch a broadcast of the famous Times Square ball drop on large-screen plasma TV’s right in front of you. What could be better than an indoor high-energy bash with the outdoor ball drop on TV? It’s the best of all worlds. And of course, raise your glass to the new year with a champagne toast at midnight on us. So what are you waiting for? Set yourself up to have the New Year’s Eve of a lifetime. Step right up to the stage and get your ticket to this not-to-be-missed it-party right now! Dress code is festive New Year’s attire. Main Floor - You want action? Here it is! With a dance floor and a stage this big, get ready to lose (or find) yourself! Mezzanine - Rising above and wrapping around the stage and dance floor below is the Mezzanine. This is a fantastic vantage point to watch the scene and be seen. Third Floor - On any other night, it's known as Stage 48's restaurant, ZBar. On NYE, it's Stage's uber-chill and swanky VIP lounge. Rooftop - Views, views, views! Party under the stars and marvel at the cityscape in a glass enclosed rooftop. Tonight is your night, so get out there and show the world what you’re made of! Dance, prance and romance your super-charged NYE night away at Stage 48.